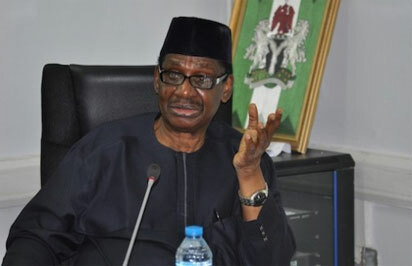 Presidential Advisory Committee Against Corruption (PACAC) chairman Prof Itse Sagay (SAN) yesterday described the latest Corruption Perception Index (CPI) released by Transparency International (TI) as erroneous. The index, which ranks 180 countries and territories by their perceived levels of public sector corruption, uses a scale of 0 to 100, where 0 is highly corrupt and 100 is very clean. While Nigeria scored 27/100 and was ranked 136th in 2016, the latest CPI scores Nigeria 28/100. It ranks 148 out of 180 countries surveyed —12 places below where it was the previous year. Sagay said corruption was perceived to still be high because of frequent revelations of acts of graft. To him, TI misinterpreted the fact that acts of corruption were being exposed on daily basis. He said: “Transparency International is making a major error. It is confused between the actual level of corruption and the level of revelation of acts of corruption. Corruption was worse than now. “But, because of the activities of the anti-corruption agencies, particularly the EFCC, virtually no day passes without one act of corruption or the other being revealed. “To someone who is just relying on statistics of what is revealed, it’d seem that corruption is increasing. In fact, it is decreasing, because those that are revealed involve prosecution of suspects or forfeiture of assets. PACAC Executive Secretary Prof Bolaji Owasanoye said the index relies on public opinion, but that fighting corruption was an ongoing process. “The way the study is conducted is that public opinion is sought on perception,” he said. According to him, people may perceive corruption as being high because of low conviction rate. “They have not seen people in jail, but of course that is a process that cannot be short-circuited, and all manner of reforms are going on around that,” Owasanoye said. Special Assistant on Prosecution to the President, Chief Okoi Obono-Obla, described the report as a “sham” which does not reflect the reality. “Indication cannot be the reality. Those reports are based on assumptions and sometimes they are not true. Are we not fighting corruption? We cannot kill people. Do they expect us to slaughter everybody before they know that this government is fighting corruption? Its obvious, we haven’t seen any line taken on corruption. For corruption starts with our top leaders. But this prof Sagay is not the spokesman of this govt. Buhari might be fighting corruption but he has to start with his cabinet. He surrounded himself with d most corrupt of d country.